The Dallas Cowboys competition at wide receiver suffered an important loss yesterday, as rookie Cedrick Wilson was placed on injured reserve with a torn labrum. Wilson dealt with the same shoulder injury in college, causing him to miss time at Boise State, and was limited at the Cowboys earlier OTAs and mini camp. Looking to put this behind him and make a name for himself, Wilson's rookie season is unfortunately over before it really began. While teams can recall two players from their IR now, this new rule does not apply to players placed on the list during the preseason. 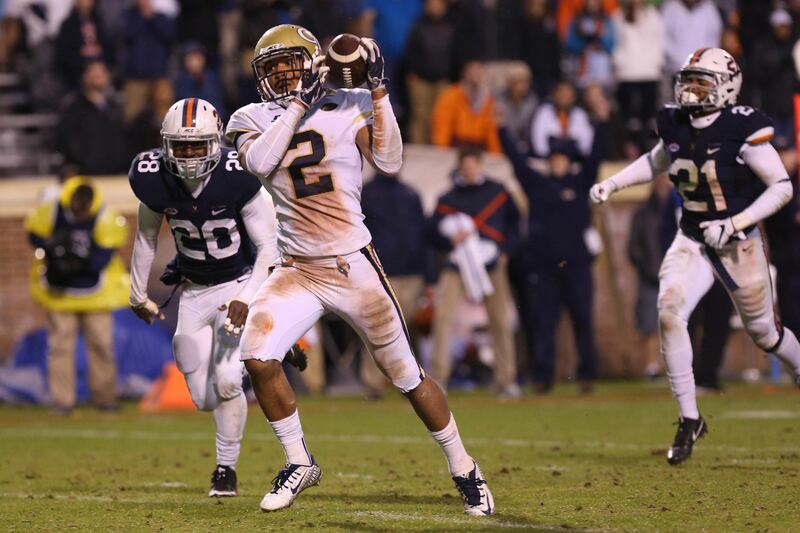 Wilson was the second receiver drafted by the Cowboys this year. Despite going 127 picks after standout Wide Receiver Michael Gallup, Wilson drew plenty of hype as a potential deep threat in the Cowboys offense. Wilson was one of eleven receivers on the Cowboys roster before his injury. The team has maintained this depth by signing Ricky Jeune in his absence. An unknown commodity, Jeune was signed by the Rams as a UDFA but released in July. The 6'2" target out of Georgia Tech didn't play a large part in their run-first offense, but did manage to increase his production every year as a starter from 2015-17. Putting up 25 receptions in consecutive years, Jeune totaled a career high 545 yards as a Senior to go with six touchdowns. A long shot to make the Cowboys roster, Jeune will have a chance to join in on Sanjay Lal's unique drills and gain experience with a team in need of bodies at the position. Jeune joins Gallup as the only other first-year receiver on the Cowboys. Allen Hurns and Deonte Thompson are also in their first season with Dallas. Tell us what you think about "Cedrick Wilson’s Rookie Season Ends, Cowboys Sign WR Ricky Jeune" in the comments below. You can also email me at Sean.Martin@InsideTheStar.com, or Tweet to me at @SeanMartinNFL! How Close Is The Cowboys’ LB Group To Being Great? It's no secret that heading into the 2018 NFL Draft, the book on Connor Williams coming out of Texas was that he didn't have enough length to play tackle in the NFL and didn't have enough bulk to play guard. At least not at first. It was an issue we saw play out early in the 2018 season as he struggled with some of the more powerful defensive tackles. He struggled so much that the team went to Xavier Su'a-Filo during his injury and for a couple games after he was healthy, thinking they had a better option. After having a bit of time to sit back and watch, Williams came back into the starting lineup with a better feel for that power and was much improved over the last half of the season, including the playoffs. He never relinquished his job again. Though he played better, it was obvious what his number one offseason focus would be; adding size and strength. According to Dallas Cowboys Vice President Stephen Jones, he's done just that. 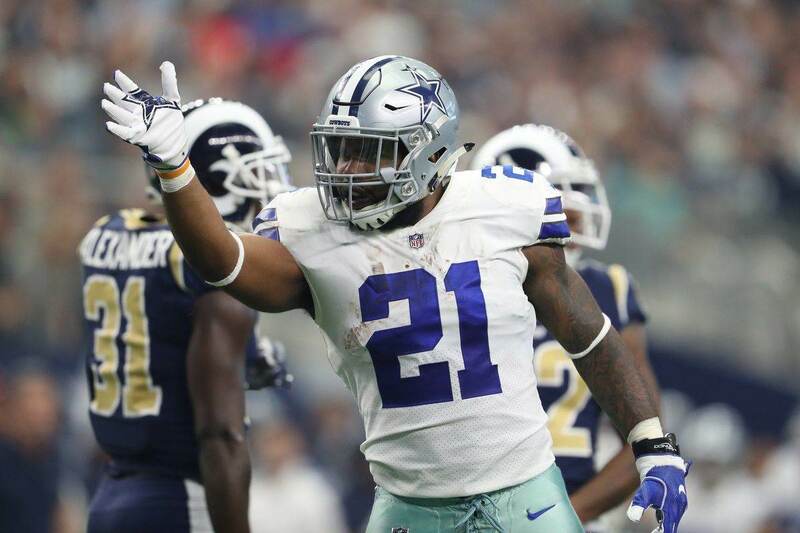 Speaking to 105.3 The Fan in Dallas on Tuesday afternoon, Jones gave us some insight into how Williams is looking this offseason. Cowboys VP Stephen Jones on offensive lineman Connor Williams, last year's second round pick: "My understanding is that he's taken some huge steps in terms of his strength and size. My understanding is that he's put on some really good weight. Jones then added some lofty expectations on the second year guard from the University of Texas. Cowboys VP Stephen Jones on @1053thefan: "I think Connor Williams is gonna be a mainstay in our offensive line for many years to come. ... I think we'll be talking about him just like we do several of the other players on our offensive line. Connor Williams was already proving himself capable of standing up to powerful defensive lineman as late in the season and in the playoffs, but this is very encouraging to hear as we look to 2019. 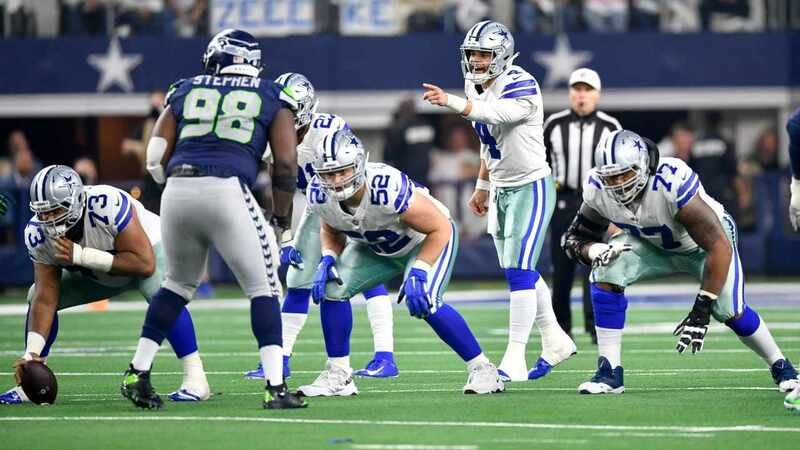 Against the Seattle Seahawks and the Los Angeles Rams, Williams and the rest of the Dallas Cowboys interior offensive line had big challenges in front of them. Seattle's Jarran Reed and Los Angeles' Aaron Donald were two of the better defensive tackles in 2018. Donald, is considered by many, the best defensive player in the NFL because of his brute strength that is matched by his quickness. Against both players, Williams performed well. Not perfect, but well enough to be encouraged about what Williams could bring in 2019. Per Pro Football Focus, he only allowed five total pressures during the playoffs, including one in the divisional round against the Rams. There's a reason that everyone is so high on Williams heading into his second year. Stephen Jones praise is significant. The Dallas Cowboys feature three All-Pro offensive lineman. To say that "we'll be talking about him just like we do several of the other players on our offensive line" is very high praise. There aren't many teams in the NFL that boast as much talent along the offensive line as the Dallas Cowboys do in Tyron Smith, Zack Martin, and Travis Frederick. For Jones to think Williams cold be that level of player doesn't sound like generic front office speak. With a full year under his belt, including two playoff starts, Williams should be confident heading into his second year. Adding strength and weight will help him anchor better against the strong interiors he'll face weekly in the NFL. Getting Center Travis Frederick back in the lineup will help him with the mental aspect of the game. There's a lot to be excited about with the Dallas Cowboys in 2019 and the offensive line remains one of those things. How Connor Williams improves from year one to year two will be one of the major storylines throughout the offseason heading toward week one. The Cowboys offensive line remains a focal point for America's Team and all eyes will be on Williams as he looks to make the second year jump. The list of injured Dallas Cowboys players getting surgery keeps getting larger. DeMarcus Lawrence and Byron Jones will welcome La'el Collins to the "surgery recovery" group chat after Collins had a procedure to repair a torn rotator cuff. According to the report from Forth-Worth Star Telegram, Collins suffered the injury at the end of the 2018 season. La'el Collins expects to be ready for training camp, but don't expect much from him in the upcoming offseason program. For Collins, this is a very meaningful season. At 25 years old, he's heading into a contract year in 2019. So far, his career has been decent at best. He began playing at guard, where he showed some pretty impressive flashes before moving to right tackle, where he's started since 2017. Even before it was reported that he would have surgery, many in Cowboys Nation have wondered about his future. The truth is, since he signed as an undrafted free agent in 2015, his career hasn't lived up to the hype. Prior to the 2015 NFL Draft, an off-the-field misunderstanding made every team pass on him. However, he was seen by many as a top prospect in the class and was a projected first round pick. Although he improved when Marc Colombo took over as the OL coach, Collins has struggled during his time at right tackle. At this point, he hasn't earned a long term deal. Right now, the Cowboys should see offensive tackle as a need in the NFL Draft. Not a priority one, but definitely one to watch out for in the later rounds. Tyron Smith is 28 years old, but his injury history doesn't look promising at all. I can definitely see this team addressing the lack of depth at the position at some point in Day 3. This whole discussion raises yet another question. Would the Cowboys trade La'el Collins? I don't think it would happen, but it doesn't sound like a terrible idea either. At the moment, Cameron Fleming is on the roster and he isn't a bad starter. Now granted, he might be a downgrade from Collins. However, if you're able to get a good draft pick in exchange, it's worth considering. Use Fleming as a bridge player between for a younger one down the line. Connor Williams could also move over to tackle, although I doubt they want to try experiments like this with a young player just like they did with La'el Collins. Let Williams grow as a guard and keep him there. 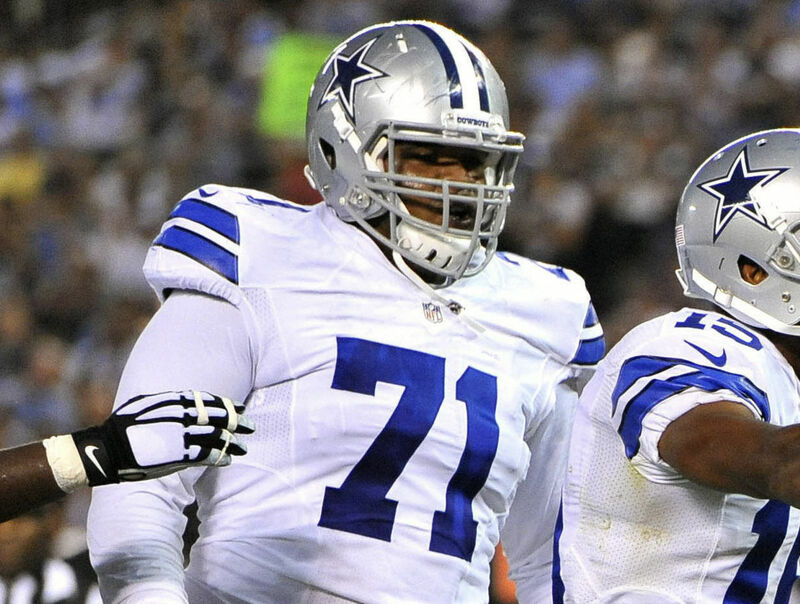 La'el Collins or not, the Cowboys have a need at offensive tackle and Collins' makes it even more evident. The good news is he expects to be back by training camp and doesn't seem like a huge question mark for week 1 as DeMarcus Lawrence and Byron Jones do. Tell me what you think about "La’el Collins Has Surgery Ahead of Contract Year" in the comments below, or tweet me @MauNFL and let’s talk football! If you like football and are looking for a Dallas Cowboys show in Spanish, don’t miss my weekly Facebook Live! show, Primero Cowboys!